MOSHIMOSHI NIPPON Ep. 08 | jibtv.com | Japan International Broadcasting Inc.
Today's keyword is "U" for Ukai. 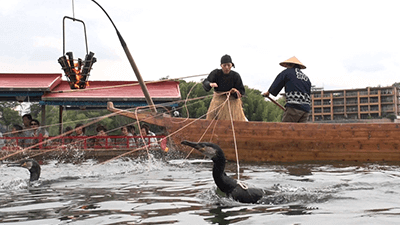 Ukai is a style of fishing, in which fishermen use trained cormorants to catch fish. It’s a Japanese tradition going back over 1,300 years. 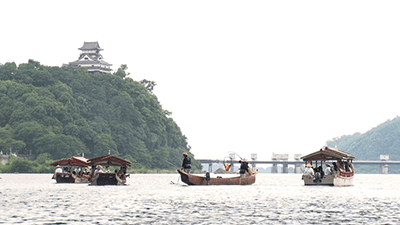 Today, Ukai has become more form of entertainment performed for tourists as they watch from a traditional sightseeing boat called katabune. 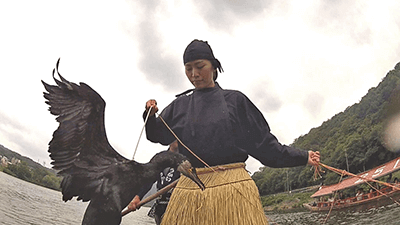 In this segment, the first female cormorant fisher Kotomi Inayama introduces you to the world of ukai. Our correspondent for this segment is Caroline Parsons, who works as a journalist and photographer. She has been living in Japan for 33 years. Her favorite place is Harajuku. From early '80s to mid '90s, she took many photos of Harajuku's youth culture, especially its fashion. She walks us through the ever-changing fashion scene in Harajuku. Japan's trending sub-culture introduced by Ichiya Nakamura, a key person in promoting Japanese pop-culture to the world. Today's topic is convenience stores. Japanese convenience stores are amazing! They sell a variety of things including vegetables, snacks, hot food and stationery. They even sell pants, socks and offers some postal services. In today's episode, Ichiya talks about useful and some funny services offered at convenience stores!